Do you possess a strong self-motivation, good time management skills, and a desire to succeed? There’s a good chance you’re cut out for a management career! 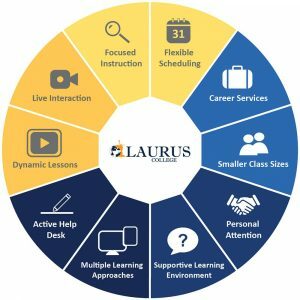 If you’re ready to take your career to the next level, upgrading your business skills with a Bachelor’s Degree program from Laurus College is your best bet. Our Bachelor of Science Degree program in Business Systems Management prepares students for a career in business, whether that be working for a corporation, startup, or following your own entrepreneurial ambitions. That means you’re in control of your learning experience. All you have to do is get the ball rolling. And pursuing training with Laurus for a career in business management, with all our dedicated support from Day 1 till you land that dream job, is a smart choice. Is a Career in Business Management Right for You? Find Out! 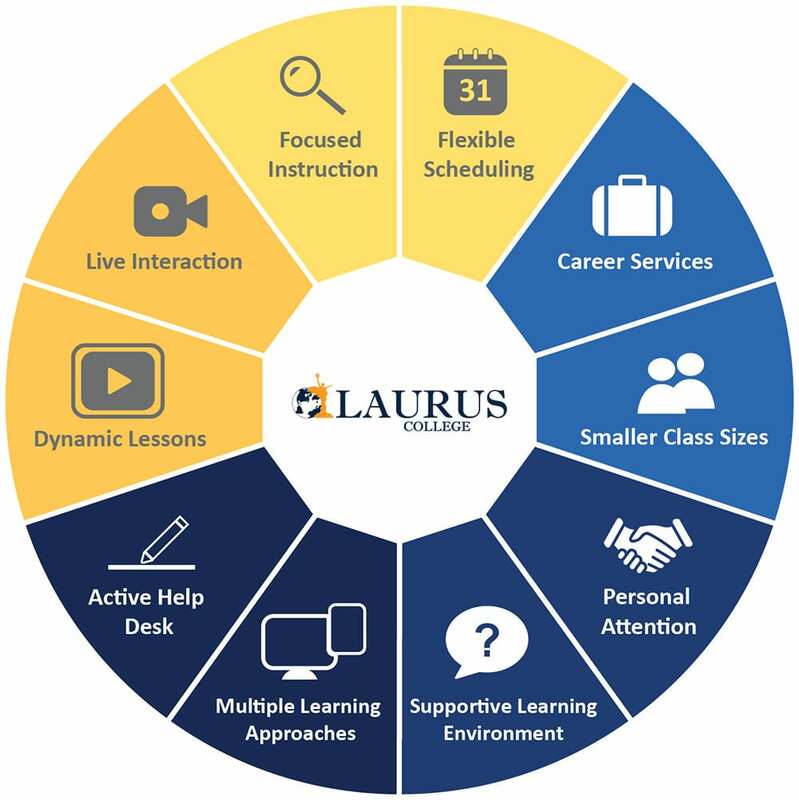 Take the "Laurus College Business Career Training Readiness Quiz"
The goal of this Bachelor’s Degree program is to provide students with an opportunity to develop skills in critical and creative thinking, problem-solving, social responsibility, human relationships, and technological savvy. Students will interact with faculty and peers in a career-oriented business education that emphasizes personal and professional integrity. Managerial courses emphasize human values and techniques for establishing a sense of responsibility to employers, employees, and other stakeholders while building strong relationships. Marketing and social entrepreneurship courses demonstrate the role of marketing in business and provide students with adaptive skills and tools to think creatively and develop innovative business ideas and solutions. Finance and accounting courses equip business students with the primary concepts and skills necessary to understand budgeting and funding and to evaluate the cash flow within an enterprise. Upon completion of the Bachelor of Science degree in Business Systems Management, students can pursue careers in a number of fields, including business management, social media marketing, marketing, advertising, banking, personal finance, and entrepreneurship. Communication: Demonstrate effective oral and written communication skills; communicate concisely, professionally, and accurately in various professional modes, including emails and presentations. Critical Thinking: Demonstrate critical thinking skills by formulating problems and developing achievable solutions; create, analyze and evaluate appropriate solutions, including those for ambiguous problems; streamline information for relevancy; effectively articulate their thinking processes throughout the problem-solving process. Management: Demonstrate an understanding of sound management skills, including the effective management of groups and processes, the ability to appraise and evaluate both people and situations, and formulate solutions to common workplace problems; demonstrate knowledge and application of common leadership skills. Marketing: Exhibit a strong understanding of personal branding, selling, and promotional techniques and the ability to create compelling advertisements and pitches for goods and services, including product, price, place, and promotional strategy; demonstrate an understanding of the legalities of marketing and intellectual property and the effective use of technology for marketing purposes, and to generate presence, connectivity, and relationships. Financial Knowledge: Demonstrate mathematical and problem-solving skills in relation to financial management, including economics, personal finance, math, statistics, and accounting; use financial tools to collect and analyze data and to keep track of monetary trends. If you’d like to know more about the careers available to grads of our Business Systems Management program and explore whether Laurus is right for you, fill out the form on this page to receive more information. This course is designed as a survey course that explores the functions of modern business, including an overview of marketing, management, ethics, social responsibility, and human resources management. The course introduces common terminology, concepts, topical readings and current issues in business, while fostering critical and analytical thinking skills. Students in this course study international business markets and through the analysis of case studies learn how trade, investments, law, politics, and culture drive the global financial market and open opportunity for emerging markets. This course covers both personal selling and branding. Participants will learn how to create their personal brand, define their target audience and use role playing and video presentations to master sales techniques and enhance interpersonal communication skills. This course prepares students to develop and implement project plans when working to complete assigned projects. Topics in this course may include defining project goals and objectives, specifying tasks or how goals will be achieved, establishing needed resources for project completion, and associating budgets and completion timelines. Students study the major phases of project management including project feasibility, planning, implementation, evaluation, and support. Project management software will be used by students to gain an understanding of how to best organize and delegate their project. Students gain an understanding of how to manage business projects and how these skills may be applied to an individual project or a group project. This course focuses on the management of personal finance. Broad coverage of personal financial decisions, including basic financial planning, use of credit, purchasing an automobile and home, insurance, tax issues, investing, retirement, and estate planning. This course examines the psychology of the consumer decision-making process and the influence of social media in the purchase of goods and services. This course examines the evolution of electronic transaction processing technologies in the buying and selling of goods. Topics include the basic understanding of the ecommerce system, the advent of ecommerce in the consumer’s daily life, the underlying economic structure of the ecommerce system, transactional models with little or no human interaction and navigational technologies in the ecommerce cycle. This course is comprehensive survey of the functional areas of business: management and organization, human resource management, marketing, information systems and accounting, and finance and investment. Core topics include ethics and social responsibility, small business concerns and entrepreneurship, and global issues. This Course will also examine topics like the impact of social media on business, the economic crisis, green and socially responsible business, and sustainability. Students in this class will learn the process of new product development from the inception of brainstorming and ideation to building a prototype and launching a product or service into the marketplace. New product development also includes screening, concept development, and commercialization. Social media is a cornerstone of the modern workplace and increasingly more companies are in need of social media managers to monitor and promote their brand, while managing public commentary and customer experience. This course utilizes popular online social media tools and platforms to master engagement and lessen disruptive public response. The Introduction to Public Policy covers a range of topics from the values of informed democratic decision making to the cost-benefit analysis of the public policy agenda. This course looks at the decision making process in the various sectors, including publican a private, analyzes the roles and responsibilities of the various stakeholders and the approaches to public policy.